We stock a wide selection of used vehicles including Audi, BMW, Mercedes, Porsche, VW, 4x4's, MPV's and, of course Volvo for which we have been synonymous with for over 60 years becoming the Volvo Distributor for Devon, Cornwall and Somerset in 1958. Today, we are an Independent Volvo Specialist specialising in Volvo and other Prestige brands, located near Newton Abbot in Devon. View our latest selection of used cars for sale in Newton Abbot here. We also offer a Locator Service through our extensive network of suppliers and contacts if you are looking for a specific vehicle we do not currently have in stock. Please call us with your requirements and we will endeavour to find it for you. Find more information on used car locating. 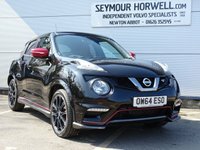 Click here to get in touch with Seymour Horwell - quality used car retailer in Newton Abbot. Servicing Main dealer level servicing at a fraction of the cost. MOT Onsite Service & MOT station. Book in today.